The Mitsubishi Eclipse Cross is definitely one of the more unusual looking SUVs on sale in this crowded market. AOL Cars gets behind the wheel to see if there is more to it than just its bold looks. You only need to take a quick look at Mitsubishi's product line-up to see how important four-wheel-drive cars are to its brand. The UK line-up currently only has one non-SUV or four-wheel-drive on sale, the Mirage city car. So its range is predominantly SUVs made up of the Shogun, ASX, L200 and popular Outlander. Mitsubishi also has another SUV on sale later in the year – the Shogun Sport. But for now, here is the Japanese manufacturer's latest off-roader, the Eclipse Cross. It's bold, practical and fantastic value, and is aimed to compete against some of the best-selling SUVs such as the Seat Ateca, Nissan Qashqai and Kia Sportage. The Eclipse name has been used before on a coupe in the mid 2000s, but the Eclipse Cross is entirely different. It sits on the same platform as the Outlander, although Mitsubishi says it shares "very few" components with that car. It debuts the brand's latest design language, comprising a bold face, chiselled flanks and an interesting tiered rear. Under the skin there is an all-new engine and gearbox, too. Currently just one powertrain option is available – a 1.5-litre turbocharged petrol engine. It produces 161bhp and offers plenty of low-end torque, although at the expense of fuel economy which is just in the mid 30s in real-world driving and high CO2 figures of 159g/km. The only option you have is the choice between a six-speed manual or a CVT automatic gearbox. While the CVT is one of the better ones we've tested, it's by no means a match a 'normal' automatic. It just seems to rev too much, and doesn't allow for access to the low-end torque which you can have with the manual gearbox. 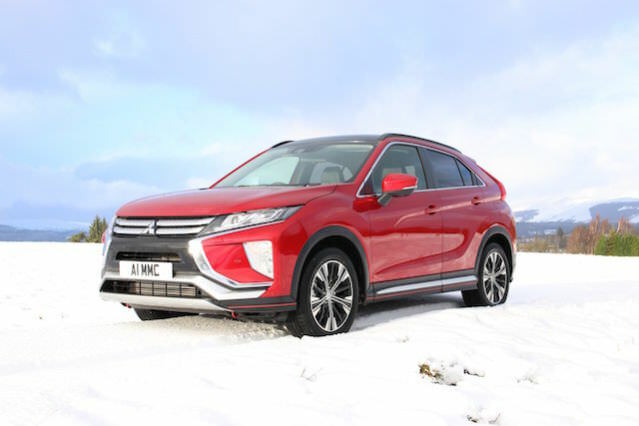 Mitsubishi does say that a hybrid model is in the way, and that it would consider adding a diesel option if demand for the fuel increased, but for the time being, this is your only option. Mitsubishi has put a lot of focus on making the Eclipse Cross good to drive, and to an extent it's paid off. 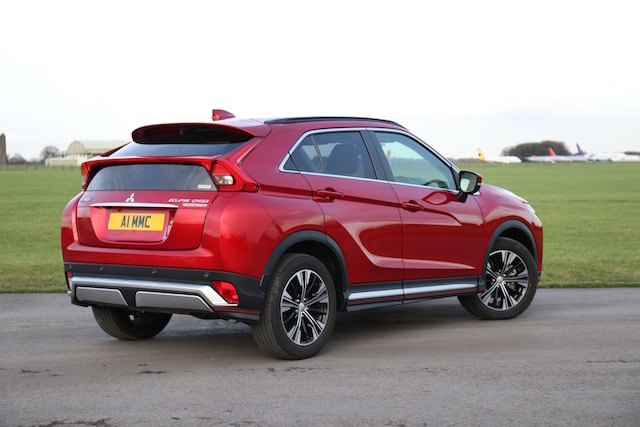 It's definitely the most exciting Mitsubishi to drive in the current range, although it's not as fun as a Seat Ateca, or as comfortable as the Nissan Qashqai. The driving position of the Eclipse Cross is much higher up than its rivals, which does give you a good view of the road ahead. The view out of the rear, is not as good, though, because the split tailgate rear isolates your view. While we understand why Mitsubishi has given it this look, in filthy British weather, and without a wiper for the lower section, visibility will soon be seriously reduced.